Hyperlinking to defamatory content: to link, or not to link? The European Court of Human Rights (ECtHR) has upheld the complaint of a Hungarian news website that, by finding it liable for publishing defamatory content by merely posting a hyperlink to the defamatory content, the domestic courts of Hungary had unduly restricted the publisher’s freedom of expression. In Hungary a Roma community leader was recorded in an interview accusing members of a political party of being racist towards and threatening local school children. The news website in question (hosted by Magyar) put a hyperlink to a YouTube video of the interview in their article on the incident. The political party bought defamation proceedings in Hungary against Magyar, who were found automatically and objectively liable for publishing the defamatory statements as a result of including the hyperlink. Having exhausted all of its rights of appeal in Hungary without success, Magyar brought its claim before the ECtHR under Article 10 of the Convention for the Protection of Human Rights and Fundamental Freedoms. In this judgment, the ECtHR agreed that the Hungarian courts’ findings of automatic, objective liability for defamatory content referred to via hyperlink, constituted a disproportionate restriction on Magyar’s right to freedom of expression. The ECtHR pointed out that the very purpose of hyperlinks is to allow people to navigate to and from webpages covering a wide amount of information and they merely direct readers to the existence of other material. 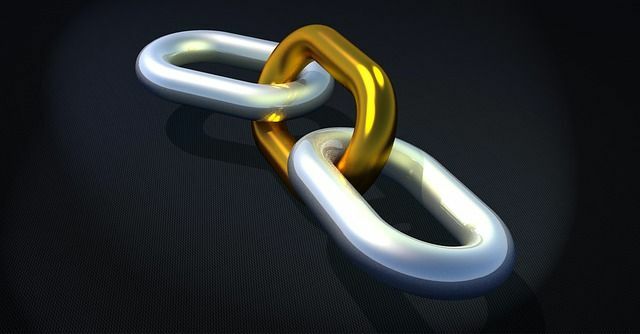 Hyperlinks do not present the linked statements to the audience or communicate its content. Also, the person using a hyperlink is not necessarily in control of the content of the hyperlinked page. Therefore, the ECtHR did not agree that the mere posting of a hyperlink could be equated automatically with disseminating defamatory information. However, each case turns on its facts having regard to, for example, whether the journalist endorsed or repeated the disputed content and acted in good faith, respecting the ethics of responsible journalism. In this case, Magyar simply mentioned the interview was on Youtube and provided a way to access it through a hyperlink, without further comments on, or repetition even of parts of, the linked interview itself. The article was not an endorsement of the defamatory content. However, the ECtHR specifically did not exclude the possibility that in certain circumstances a repetition of defamatory content, along with a hyperlink to it, could engage liability. ...bearing in mind the role of the Internet in enhancing the public’s access to news and information, the Court points out that the very purpose of hyperlinks is, by directing to other pages and web resources, to allow Internet‑users to navigate to and from material in a network characterised by the availability of an immense amount of information. Hyperlinks contribute to the smooth operation of the Internet by making information accessible through linking it to each other. Twitch and YouTube to feel the squeeze of new EU Copyright Directive.